To start earning cash back on your online shopping, just follow these 3 simple steps or browse our frequently asked questions below. Find the retailer on our site that you want to shop with. 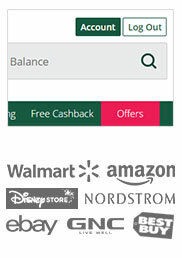 Search for a specific retailer using our search bar at the top, browse different categories of retailers using the navigation bar above, or visit our Offers page for today's best cash back deals. We've got it covered with over 4,400 retailers to choose from! On the retailer's page on our site, you'll be able to view their current cash back offers. To start shopping, just click on the pink 'Get Cashback' button next to the offer - this will simply open the retailer's own website in a new tab for you. Remember, it's important that you don't just go to the retailer's website directly. We'll calculate the amount of cash back you're due, and any cash back earned should show on your account Earnings page within 7 days, although it's often a lot sooner. There might be loads you want to know about cash back, but it's so simple once you get started! Can I earn cash back for free? Yes! You can earn cash back without spending a single penny with our Free Cashback offers. Or invite a friend to start using TopCashback too, and get a Tell-a-Friend bonus of $10. We pass 100% of this commission back to you as ‘cash back’ which is added to your Earnings page, and once the commission is actually paid by the retailer, then we’ll make your cash back‘payable’ to withdraw and spend. We are the most generous cash back website out there, and we don’t aim to make huge profits. We’re simply supported by sponsored adverts and promotions dotted around the site, and sometimes retailers will also pay us a bonus if we send a lot of shoppers their way! How do I make sure I receive my cash back? Cash back usually tracks no problem, but there are certain things which can upset the system. 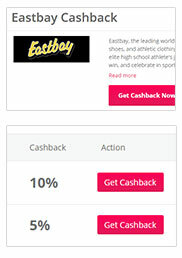 Make sure you visit the retailer via our website and don’t click to any other sites before making your purchase, check that your computer is set up to record cookies in your internet browser, and clear your cookies if you’ve been browsing around before coming to TopCashback. How can I check the status of my cash back? Once it’s tracked, cash back will show in your Earnings table, where you’ll also be able to check the status of your cash back. 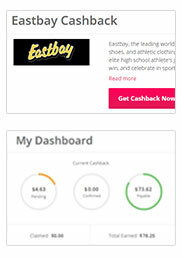 How do I receive my cash back payout? Once your cash back is ‘payable’, you can withdraw it ready to spend. Simply go to the Payouts page of your account, select the payout method you would like to use, and follow the on-screen instructions.